Each month, our paycheck goes on utility bills, rent, and other small expenses that add up. Luckily, there are ways to cut costs without compromising quality or giving up the things you love. Here is how to save money on Internet while enjoying the same speed and premium services. Paying bills is already a pain, don’t make it worse by paying an abnormally large amount for something so small. You know what we are talking about: the internet. Something that is so essential to everyday life should not break the bank. As your paychecks are going to pay for the internet, the internet companies are just going to keep raising their prices unless you take action. In fact, people in the United States pay more for their internet service than most places around the world. Do you want to cut down on your bills starting with the internet bill? Here are 7 of the best ways to save money on the internet without compromising on quality. The best way to lower your bill is the first to do the necessary homework. There are many comparison tools out there that are designed to help you lower your cable bill. For example, there is CutCableToday which shows you different companies pricing. Once you have found a price you like, call your current provider and let them know what you are hoping to do. The possibility of you leaving the current provider may give some incentive to the new one to lower your current price. To keep you as a customer be prepared to state exactly what you want your bill to look like. If you do not get the offer form the current provider, then by doing the research you know who you will get it from. You have television; you have the internet, might as well pay purchase a bundle that has an offer for both. Purchasing bundles often cut monthly costs as well as set up costs. These bundles tend to trick consumers by having a special ‘promo’ price for the first six months. Be sure to ask what the monthly total will be AFTER the promo is over. They won’t want to tell you right away, but this question is essential. Educating yourself on what your current provider has to offer will help you understand where you can save. You are not given free equipment by having internet. It is rented to you each month (another one of those hidden fees we’ve talked about). Although the cost is only $10 a month, multiply that for 12 months, and you are paying $120 a year just to have the equipment in your home. A great way to cut your monthly bill is to invest in a modem and router early on. You will pay roughly $150 to get the equipment, but it pays off after just 15 months, and it will last you decades. If you want to know how to save money on the internet, look at your bill. Are you just making the automatic payments each month without taking a second glance? If so, stop that immediately. Many companies charge you buy the speed and usage of the internet. If you do not know how much you use, then you are going to have a hard time predicting payments. Simply, the higher the Mbps, the faster your internet. If you are paying to buy the Mbps and you believe that internet speed is crucial to you, then compare what you are currently using to what you would pay for that usage at other locations. If you have decided that you do not need all of the speed that you have before, call and adjust the amount that is in your contract. Yes, the faster internet does seem like the best way to go, but for many families, it ends up just being another thing soaking up the paycheck that they could really live without. When you are streaming sites like Netflix you are using quite a bit of internet, but you do not need the highest level of speed to get it to load. Try cutting down just a bit and see how you feel. After a few days, the transition will be hardly noticeable. It is amazing what comes to you when you ask for it. To keep your business, many companies will go out of there way to ensure that you have everything you need. This includes the right price. Call the customer support team and share with them the need for a special deal or promo to upgrade. They will let you know if there is a special coupon code you can use to get a small discount. If they are not willing to comply with your request, you can threaten to cancel. If the company is large enough, they probably have a specific department or individual that focuses on working with clients who want to go elsewhere. These are the agents who have the authority to give the discounts you desire. It may seem a bit hasty, but internet service providers want to keep your business almost as much as they want to make money. Some people are just not meant to be negotiators. They get scared, mix up their facts, and ruin the possibility of getting a better deal where they are currently at. Does this sound like you? If so, it may be a good idea to consider reaching out to a company like BillCutterz to take control. They will review your current bull and negotiate with your provider on your behalf. Maybe you are just too busy to take care of the back and forth but really need to save the extra money. This is a great option for you especially because you do not pay an absurd amount of money for the additional help. It is all based on how much they can save you. These are 7 of the best ways to save money on your internet bill. You can try a combination of a few of them to help you really save! Are you losing money to more than the usual bills? 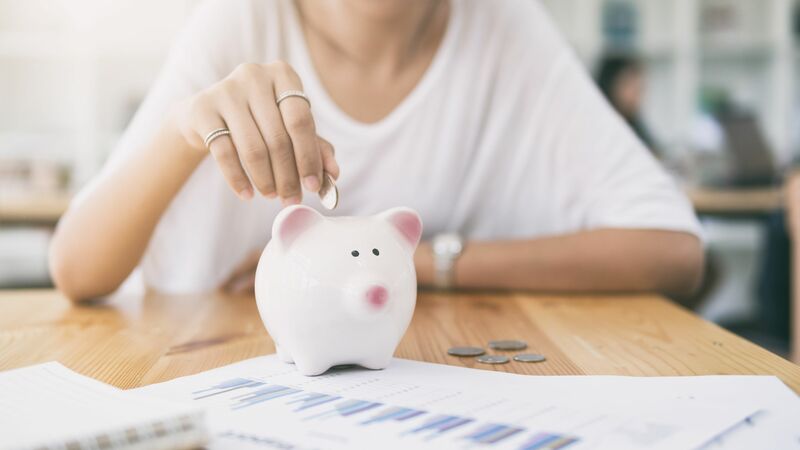 Here are many things people do not realize are draining their savings when they are not careful.